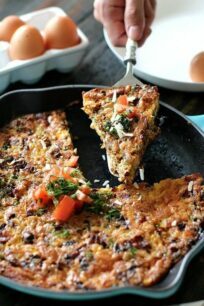 Sweet Peas Frittata is loaded with cheese and lots of crispy bacon for the perfect way to start your day. This make ahead breakfast is a staple in our house. 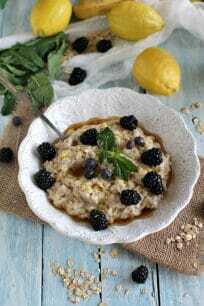 I love having a variety of different ideas for a delicious breakfast meal. 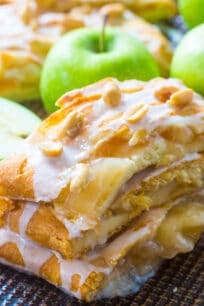 In the past, I have made the Breakfast Butter Rolls and Pumpkin Cheesecake Pancakes. 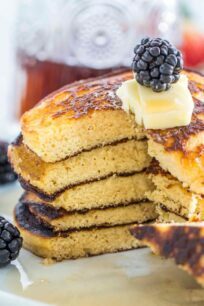 Feel free to try them for a decadent breakfast. 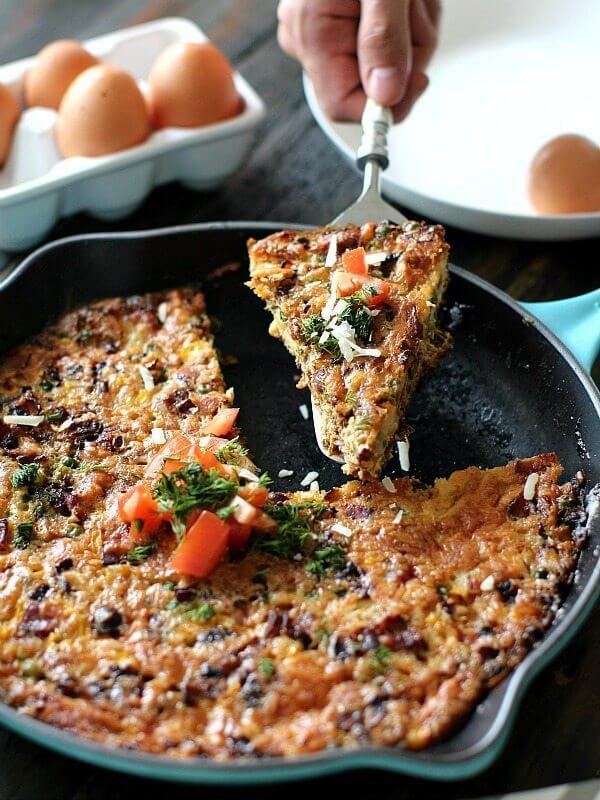 This Sweet Peas Frittata is a staple in our house. I am so NOT a morning person at all. So to have a delicious breakfast in advance that can be reheated in seconds, is the way to go in the morning. My Sweet Peas Frittata fits the bill. Firstly, it’s delicious, loaded with cheese, and with bacon. I love bacon. I truly do, so I definitely went a little heavy handed in here with bacon. Now, this frittata can be made the night before, and it can either be reheated in the oven. Similarly, it can be reheated for a few seconds in the microwave for delicious, savory and hearty breakfast. 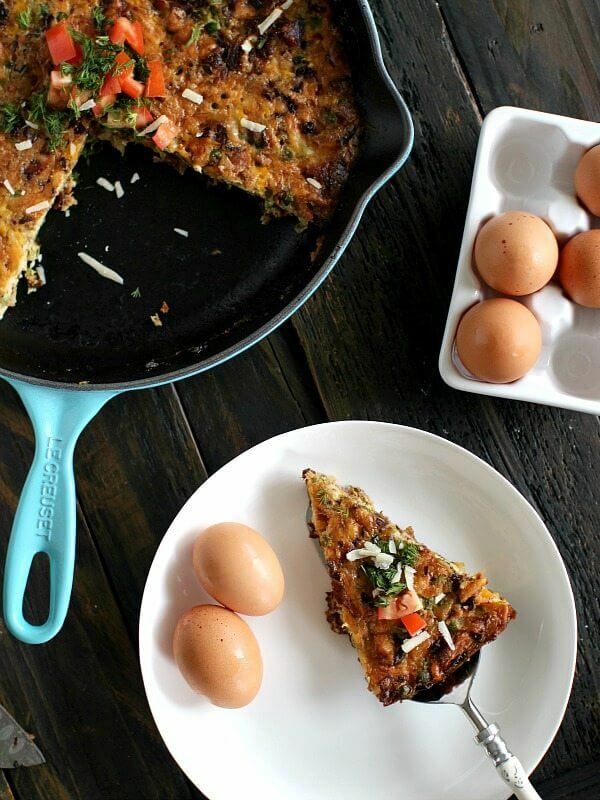 The frittata is a huge favorite in our house. It’s loaded with sweet corn and delicious sweet peas to brighten up the bacon flavor. Also, it’s piled up with cheese and can be easily served for dinner. This bacon corn and sweet peas frittata is such a time saver, I personally like to cook it on Sunday night, and we have enough for Monday and Tuesday morning breakfast. Or if you want to wake up during the weekend and have a delicious bite, cook it on Friday nigh and you are ready to start the weekend on the right foot. 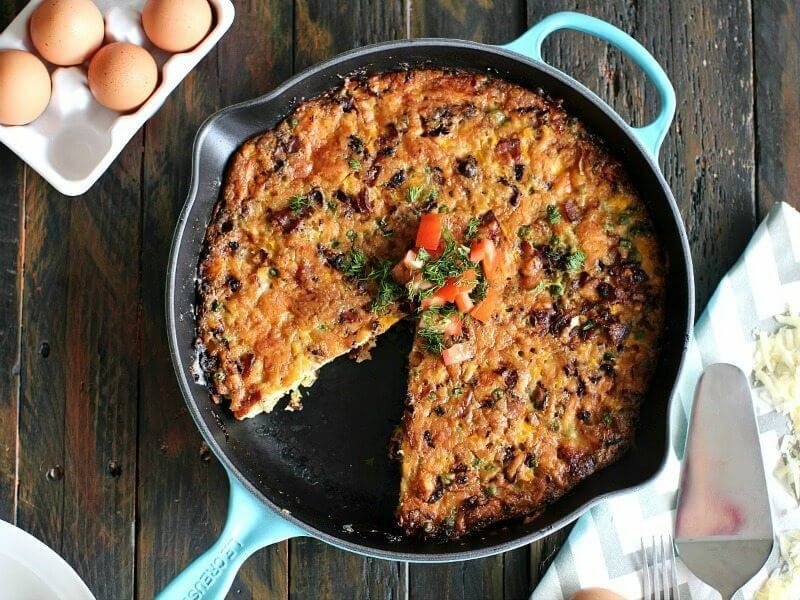 Served with some fresh chopped tomatoes and herbs, this bacon corn and sweet peas frittata will make your mornings so much better! Place a large (10 inch) cast iron skillet over medium-low heat and add the bacon slices to the cold skillet. When the bacon starts to curl, turn each slice to cook on the other side. Keep flipping and turning the bacon until desired crispness is achieved. Lay the cooked pieces on a paper towel. Add the onion and minced garlic to the skillet with the remaining bacon grease, season with salt and pepper, and cook until light golden, 8 to 10 minutes. In a medium bowl, whisk together eggs and cream until combined, season with a little salt and pepper and add the grated cheese. Crumble the bacon and add it to the skillet. Pour the egg mixture over the bacon and onion, add the sweet corn and sweet peas to the skillet. Stir the ingredients into the skillet, so they are evenly distributed. Transfer the skillet to the oven and bake for 30 - 35 minutes. Serve warm or at room temperature. Garnish with chopped tomatoes, grated cheese and fresh herbs. Store in the fridge and reheat in the microwave for a few seconds or as needed. If using frozen sweet peas and frozen sweet corn, place them in a colander under warm water one hour before you start cooking. Make sure you drain all the water before adding them to the frittata. Its so good and it make my house smell delicious.